The campaign against the warrantless use of sniffer dogs in public places by NSW police is moving North. 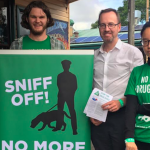 The Sniff Off campaign, which is a collaboration between Greens MLC David Shoebridge and the NSW Young Greens, launched in Newcastle on Friday night. Figures obtained by the NSW Greens reveal that between 2014 and 2017 78 percent of searches in the Newcastle area turned out to be false positives – when a drug dog makes a positive indication, but the subsequent search results in no illicit substances being found. As Mr Shoebridge puts it, sniffer dogs simply don’t work. 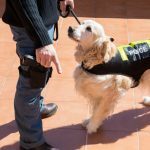 The NSW police drug detection dog operation is an “ineffective and expensive program” that “has little to no impact on the availability and consumption of drugs,” and it gets it wrong the overwhelming majority of the time. Sniff Off began in 2011. 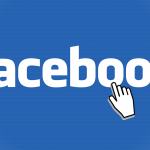 But, the campaign intensified, when the Sniff Off Facebook page got underway back in October 2014. 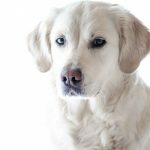 The social media platform provides a means for members of the general public to alert one another to the whereabouts of sniffer dog operations. On spotting a dog, an individual can send a message to the page admin, and they post a warning about the dog’s location to the followers of the page. And with over 36,000 likes these days, that’s a lot of NSW citizens tipping each other off about a police program that many assert infringes upon their civil liberties. NSW police began using sniffer dogs in the lead up to the 2000 Sydney Olympics. Regulations regarding their use came into effect in February 2002. And since December 2005, these powers now fall under the Law Enforcement (Powers and Responsibilities) Act 2002. Condemnation of sniffer dog use by NSW police came early on. The 2006 NSW Ombudsman report on the drug dog program revealed that only 26 percent of all searches resulted in illicit drugs being found, and in most cases those detected were small amounts of cannabis. The report also detailed that the dogs were failing to detect drug dealers. However, despite these long-term criticisms, NSW continues to be the greatest user of drug dogs in the nation. 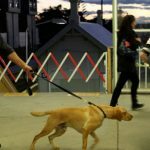 NSW police use of sniffer dogs at events, such as music festivals, is notorious. And harm reduction experts have long warned about the adverse effects their presence can have. It can cause festivalgoers to undertake in risky behaviours that lead to hospitalisation, overdose, and even death. These practices include preloading, which is consuming a large amount of drugs prior to an event to avoid detection, as well as panic overdosing, when a person takes all of their drugs at once on seeing a sniffer dog operation. Sydney Criminal Lawyers® spoke with NSW Young Greens’ Xiaoran Shi, who’s the admin of the Sniff Off Facebook page, about the latest trends in drug dog use, why it’s so detrimental, and the long-term goals of the grassroots campaign. So, Xiaoran, the Sniff Off Facebook page has built up quite a following over the years. You’ve been the page admin for the last 12 months. What sort of impact do you think the Sniff Off campaign is having on NSW police drug dog operations? The stats show that the number of drug dog searches has almost halved between 2011 and 2016. In total, there were 16,500 searches in NSW in 2011, and in 2016, there were 9,500. We don’t have the data for the 2017 year yet, but given the trend of declining search numbers, we’re hopeful that there were even fewer searches last year. And over your time as the admin, have you noticed any changes to the patterns of sniffer dog use in NSW? And what sort of areas have police been targeting lately? Looking over the stats for the past few years, we can draw a few broad trends. What has remained consistent is the high number of searches in the Sydney City, Flemington and Tweed/Byron local area commands (LACs). What has changed is the significant drop in the number of searches in great western Sydney and in suburban Sydney generally. The only suburban Sydney LAC with a consistently high number of searches is Flemington, despite the fact that it holds the highest false positive rate in NSW of 75 percent. This is closely followed by Redfern LAC, which has a false positive rate of about 70 percent. In the opinion of the Sniff Off team, why is the use of drug detection dogs so problematic? The drug dog program is problematic first and foremost because the stats show again and again that it just doesn’t work. The false positive rate consistently hovers in the 70 percent range year after year, which means that the vast majority of people who are searched are not found with drugs. And in the small minority of people who are found with drugs, it’s usually a miniscule quantity. So, it’s not big time drug traffickers that are targeted, but rather your everyday recreational user. This then tells us that the overwhelming majority of the public are subject to pointless harassment by police, when they should have the right to catch a train or walk through Kings Cross without fear of having their civil liberties called into question. 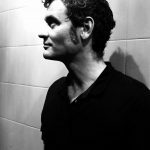 All in all, the ineffectiveness of drug dogs makes it clear that the NSW Liberal government is pumping millions of dollars every year into a useless program, when that money could be much better spent on measures that save lives, like pill testing, instead of demonising and locking up drug users. The use of strip searches often accompanies drug detection dog operations. How prevalent is the use of strip searches at present? And what sort of effect do you think this practice has on those subjected to it? We have no data on the frequency of strip searches unfortunately, but anecdotally from having attended music festivals as a Sniff Off representative, and from our supporters, it seems that strip searches are common at most large-scale events. Strip searches can be humiliating and scary for people who are subjected to them, especially if those people are not carrying drugs on them. We’ve had many people contact us through the page with their horror stories of being strip searched, and in some cases, the actions would seem to contravene the existing parameters of what police are empowered to do under the Law Enforcement (Powers and Responsibilities) Act. How heavy has the NSW police use of drug dogs at music festivals been of late? And what sort of impact would you say it’s having on festivalgoers? We can’t comment on how heavy it’s been as the data is only sorted by LAC, not by type of event, but from anecdotal evidence, there’s at least two drug dogs at most music festivals and often more. We can only imagine that it has a negative effect on many festivalgoers, who have saved up money to have a good time with their mates, only to be subject to a humiliating search by police who are there looking to catch small-time users, not to ensure people have a peaceful and safe time. There would be members of the community who’d say this aspect of the Sniff Off campaign is hindering police when they’re just doing their job. And it’s also helping out people, such as drug dealers, who are breaking the law. How would you respond to these criticisms? Sniff Off is definitely not spreading the message that individual police officers are bad or inciting people to hinder police in any way. We’re campaigning to end the drug dog program, which gets it wrong 70 percent of the time and is for all intents and purposes, a waste of taxpayer money. We know for a fact that the drug dog program doesn’t catch drug dealers and it, in fact, unfairly targets small-time users. We believe safe recreational drug use should not be criminalised, and as an initiative of the Greens NSW, Sniff Off supports decriminalisation. There’s tens of thousands of people following the Sniff Off page these days. What sort of people would you say are sending in the alerts? Back in mid-2016, Sniff Off detected three NSW police officers who were trolling the Facebook page. These officers were posting comments denying that sniffer dogs were at certain stations where their presence had already been reported. Has the Sniff Off page received any more flak from police? I think NSW Police learned their lesson. And lastly, the Sniff Off Facebook page has been effective in warning people about sniffer dog operations and has also raised public awareness about the problematic use of drug dogs. But, what are the longer-term goals of the Sniff Off campaign? Our primary long-term goal is to end the drug dog program. 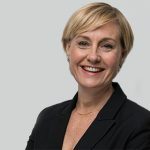 But, related to that, we aim to advocate for drug law reform, whether that be the long overdue implementation of pill testing at Australian music festivals or the legalisation of marijuana, as well as for police accountability and for the protection of civil liberties.